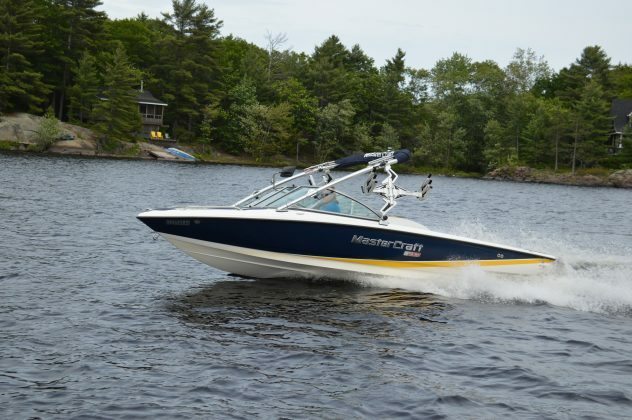 In 1968, in a two-stall horse barn in Tennessee, MasterCraft built its first dozen boats with a simple goal: to maximize towing abilities while minimizing wakes – an important factor in waterskiing. Fast-forward nearly a half-century and they’re still pumping out high-end tow boats but times have changed; they’re no longer in the barn and minimizing wake is no longer the only goal. Today’s tow sports market is dominated by wakeboarding and wakesurfing, both of which require bigger and steeper wakes. 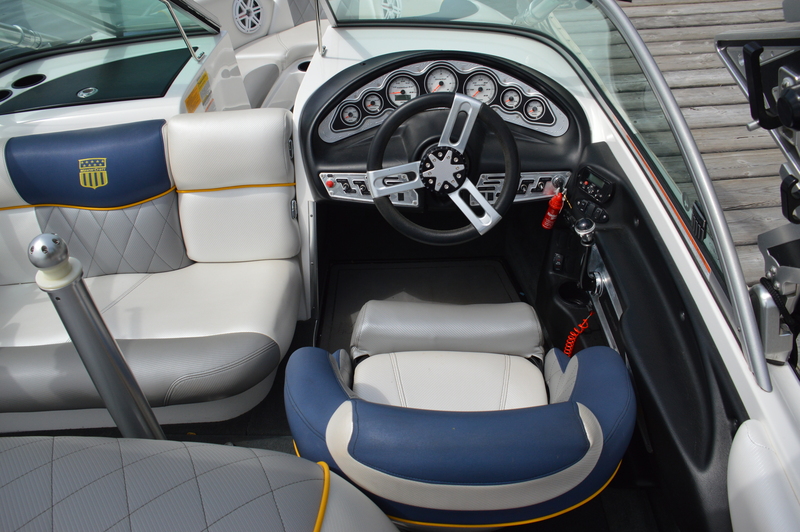 Many boats, including the 2012 MasterCraft ProStar 197 aim to appeal to both extremes. 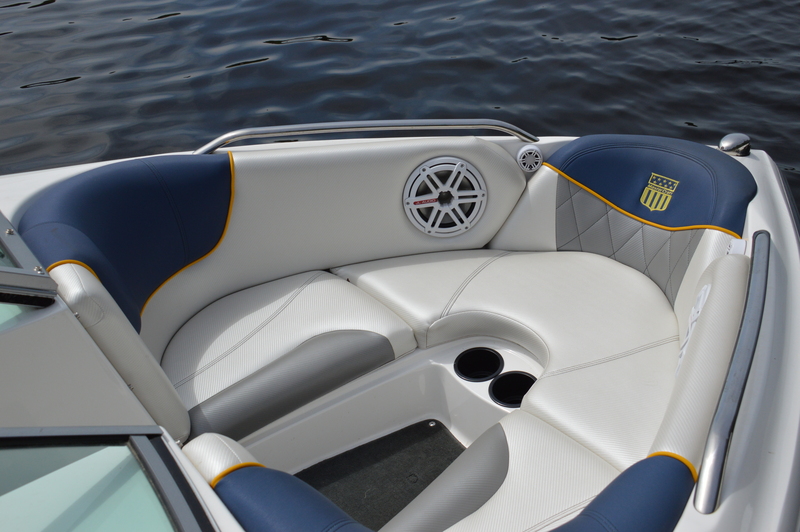 This boat is primarily a tournament-style waterski boat but, with the tower and ballast tanks, it can double as a wakeboard or surf boat. The ski focus is evident with just a glance at the cockpit layout. The Ilmor engine is situated dead centre to keep the weight balanced for smaller wakes. Just in front is the low-profile ski tow pole with a rear-facing observer’s bench (often called the judge’s bench) with folding walk-through to the bow lounge that, though snug, is cushy. Storage and cup holders round out this space. Under the rear sun pad and the mid-ship bench are ballast bags to make the wakeboard tower more useful. As is standard, a massive swim platform to help riders into and out of the water sits almost exactly at the waterline. The captain’s area has all the standard gear and then some: sleek gauges, controls and a massive rear view mirror. The 2012 ProStar 197’s super-low profile is funky and unique. Beware though, if you approach a moderately sized wave slowly you can easily stab it with the bow and get an unexpected rush of water into the cockpit. Simply working the throttle and staying aware of the waves in the area solve that problem. As tested, we peaked at a top speed of 43.2 miles per hour with empty ballast bags and cruised at 32 mph – still a bit fast for most tow sports. You can get to or from your favourite sheltered ski bays in peppy and smooth fashion. This MasterCraft had a minimum plane speed of 20.3 mph – a useful stat in a ski boat as being on plane is the most comfortable position for the skier and passengers. However, those being dragged behind don’t often want high speeds unless they’re at the high-end level. From bow to extended swim platform, this boat is all about tow sports so it’s unlikely to be considered for the average cruiser. If you want some serious performance and the high-end reliability of a big name at a better price point, a 2012 ProStar 197 could be the perfect addition to your “fleet”.